SBS Monday & Tuesday drama, "Jackpot" wrap up party took place in a restaurant in Yeouido in the afternoon on June 14th. 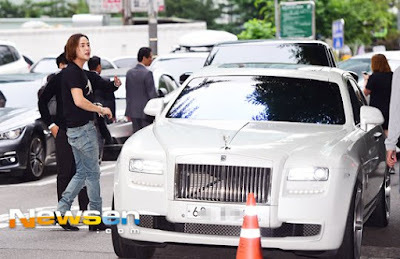 Jang Geun-seok arrived at the venue in his supercar. He showed the sweet smile to greet his fans, who gatehred around the restaurant. Despite the drama suffered from the constant low viewership rating, the great acting performances by the actors and actresses in the show drew favorable reviews. "Doctors" starring Park Shin-hye and Kim Rae-won will begin on June 20 taking over the airtime from "Jackpot".